What buzzwords or phrases do you feel have lost meaning because they are all too commonly used by job seekers in resumes or interviews? If a resume is filled with points that are lacking in substance and not supported by accomplishments, it can be a red flag to employers. For instance, hiring managers typically don't look favorably on materials filled with terms such as "enhanced," "familiar with," "responsible for" and "solutions-oriented" that don't also include details on actual achievements. Job seekers need to focus on quantifying the results of their previous work history as much as possible. For example, "reduced the quarter-end reporting process by three days" will have a greater impact than "streamlined a reporting process." 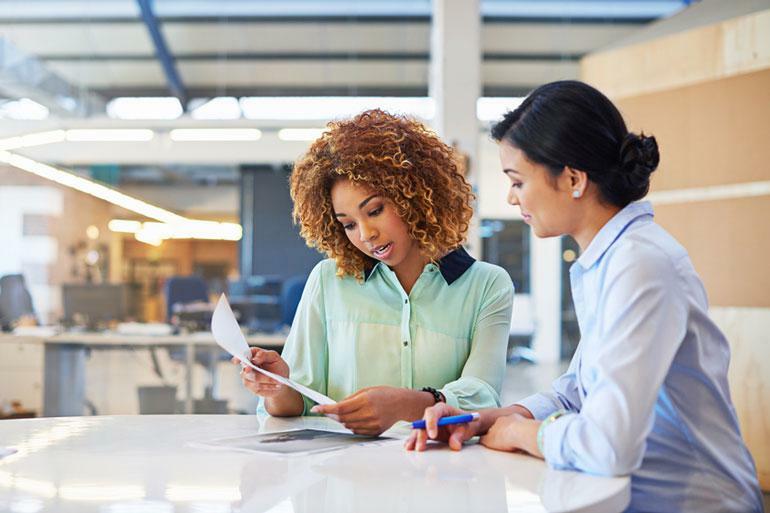 When you're crafting your resume and speaking with hiring managers, convey how you could contribute in the position you're applying for and back up your assertions with strong examples. In particular, detail how you've positively impacted previous employers' performance and bottom line, including specific ways you helped reduce costs or increase profits. The one buzzword that gets me the most is "out-of-the-box," "outside of the box" or any similar variation. Though I don't hear it used as much as it was a few years ago, it means nothing to me. This common buzzword deserves a more in-depth explanation from the speaker. What does "out of the box" mean to you and how has your creativity delivered results? To be perfectly frank, I normally do not look at many of the words at first glance. I am looking for profile -- who do they work for? Is there a track record of job stability or job hopping? Where did they go to school? I do have clients that scan resumes, truly read them and look for typos. Most people spend 6 to 8 seconds looking at a resume, determining if they want to read on. What pile do they belong in? The buzzwords can clutter this decision making. During an interview and, of course, on a resume, I would recommend that all candidates attempt to quantify their accomplishments rather than use phrases like "managed" and "strong communication skills." What do these mean? Instead, clearly demonstrate the results of your work. Provide real examples and figures -- i.e., "Improved operations by 30 percent by..."
-- Carolyn Dougherty, owner of IntelliSource.